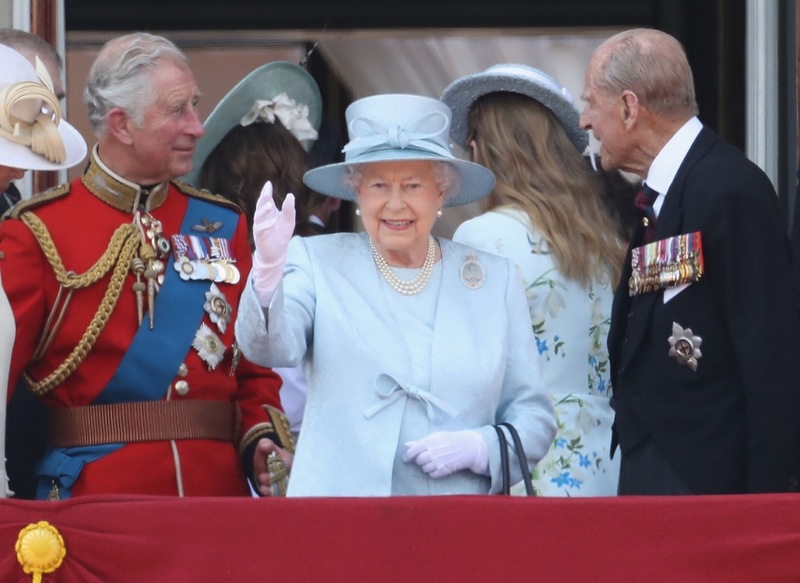 Yesterday the Queen Elizabeth II recognized her official birthday with the annual Trooping the Color ceremony. The 91-year old matriarch had her family gathered around her as she read her customary birthday message, which was understandably muted this year. As would be expected, the security force around Buckingham Palace and The Mall was particularly large as final preparations were put into place. 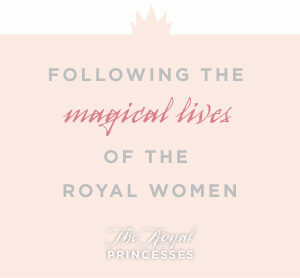 The glowing Monarch arrived alongside Prince Philip in a black open horse-drawn carriage. She was resplendent in a powder blue dress, jacket and hat, with three strands of graduated white pearls cascading from her neckline. The prince appeared as dapper as always, attired in a dark suit decorated with a distinguished band of medals. The prince wore a dark top hat to keep the sun out of his eyes. Catherine, Duchess of Cambridge, and Camilla, Duchess of Cornwall rode together in an open carriage, and both women looked lovely in soft, muted colors. 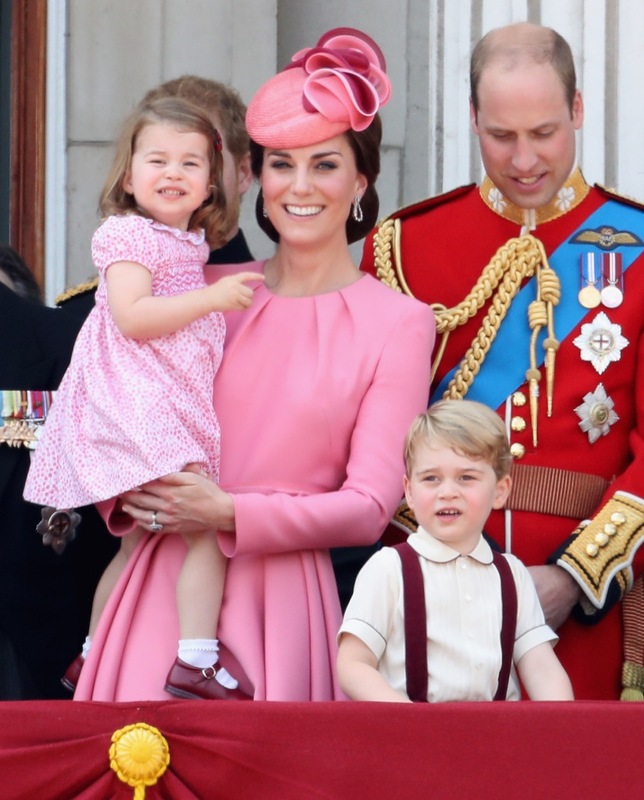 Catherine wore a delightful pastel pink dress with a pleated neckline paired with a matching, ruffled hat. Camilla was elegant in a cream dress and jacket, embellished with two flower pins and a bauble drenched neckline. Prince Charles and Prince William took part in the parade honoring the queen, with both riding on horseback in bright red military uniforms. The other members of the royal family were also dressed to impress on this most important of days, and the queen’s large and beautiful family showed off their finery they joined her on the balcony at Buckingham Palace. 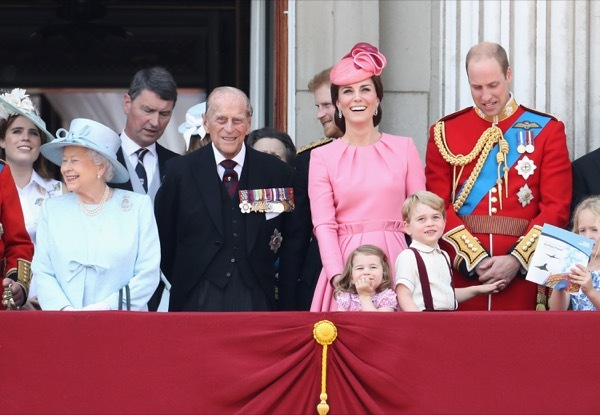 As the Royal Family gathered on the balcony, Princess Charlotte, dressed in a flowery pink dress, and Prince George were especially impressed by the planes flying overhead. Both children waved with obvious delight to the RAF planes during their fly-past, and at the Red Arrows as they flew by leaving their signature red, white and blue trails. Thousands turned out to watch the exhibition of power, precision and spectacle, and to honor Her Majesty.